Counseling Tips: What are the foundations of mental emotional healing? Staff share their favorite asepects of the conference location. Make sure we have your correct mailing address so you don't miss out on the next issue. If you would like to submit an article to the magazine please email Managing Editor, Kathleen McCarthy, at mccarthy.kathleen@gmail.com. Articles are due no later than six weeks prior to the issue date. 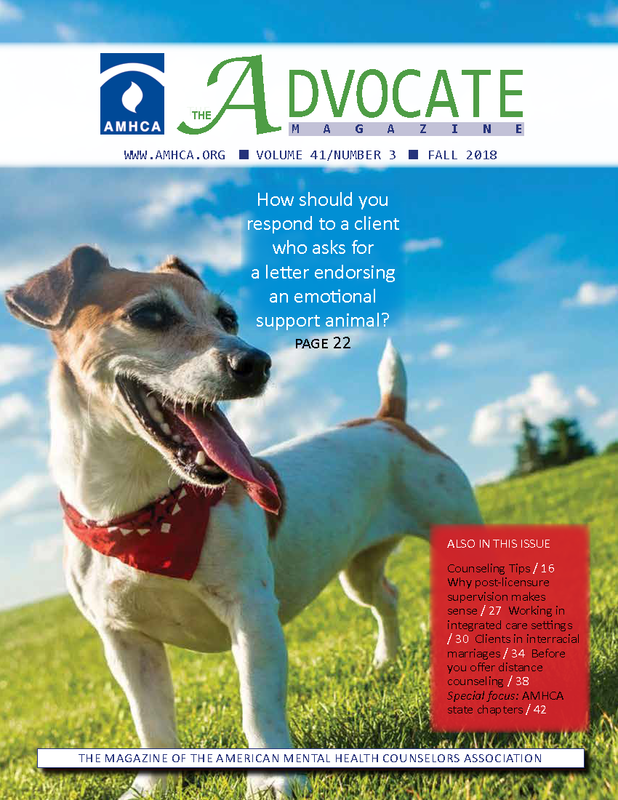 A double issue of The Advocate Magazine featuring special sections on AMHCA, State Chapters and more features. 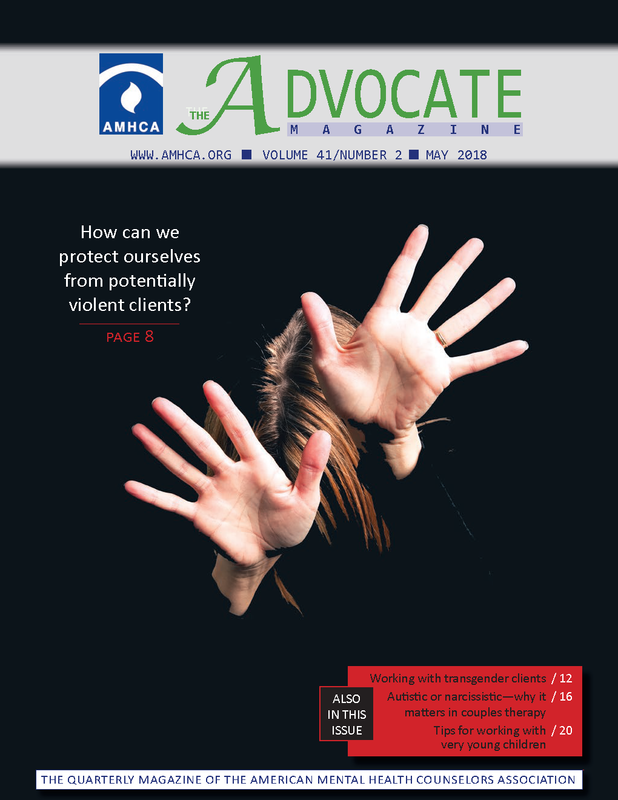 Featuring how to protect ourselves from violent clients, treating transgender clients effectively plus ethics and social media column. 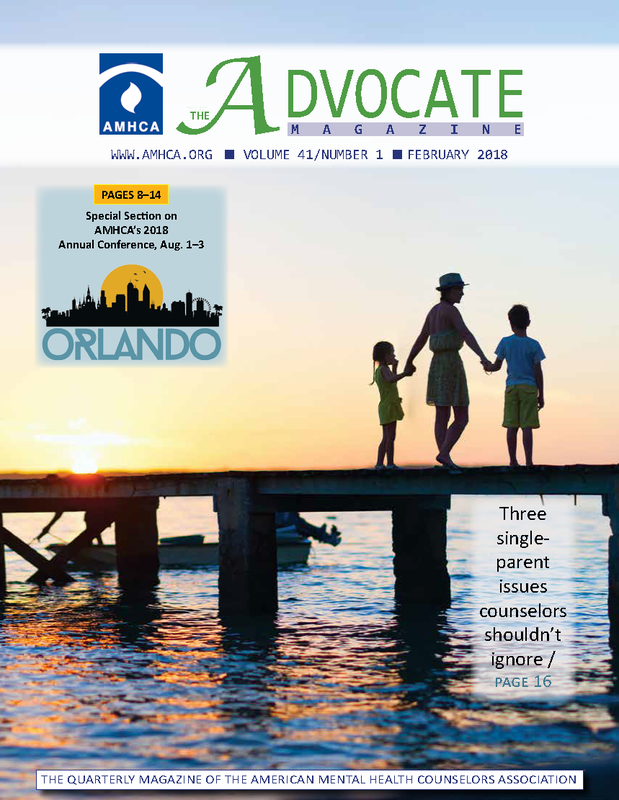 Featuring single-parenting issues, birth order and resilience, plus a special conference section.